Are you smarter than a seventh grader? If so, the micro:bit might be a good choice to get started with programming projects. It took longer than expected after the original announcement, but the BBC’s Micro:bit project started shipping to school age children in the U.K. in March. Now, the programmable mini-computer is available for pre-sale to anyone willing to shell out £13 (about $19). The board is currently available for bulk pre-orders from Farnell element14 and single unit sales from several U.K.-based online retail outlets. It's expected to start shipping in July. The Micro:bit project may have been inspired by the success of the Raspberry Pi, but the BBC’s mini-computer is solidly in the world of project development. 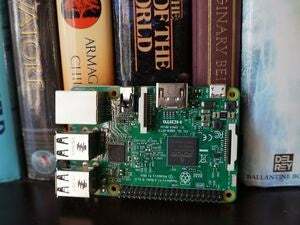 This device is not meant to run as a home computer or a cheap HTPC solution like the Pi. The Micro:bit features a 32-bit ARM Cortex M0 processor, a 5x5 grid of programmable LED lights, two push buttons for user input, an accelerometer and compass, a micro-USB port, five I/O rings, 20 pin edge connector, and Bluetooth connectivity. The edge connector allows the Micro:bit to connect to other project boards, including Arduino and the Raspberry Pi. For anyone interested in the board but worried about getting started with coding, the BBC has a dedicated website with resources to get you going. There are also apps for Android and iOS that allow you to create code on your mobile device and then flash it onto the micro:bit. Why this matters: Small programmable boards that teach children of all ages to code are becoming something of a trend thanks to the Raspberry Pi. Recently, Intel rolled out the Quark Microcontroller Developer Kit D2000 as a DIY board for IoT device makers. Samsung followed a few weeks later with the Artik 10 as a follow-up to the Artik 5 released in April. 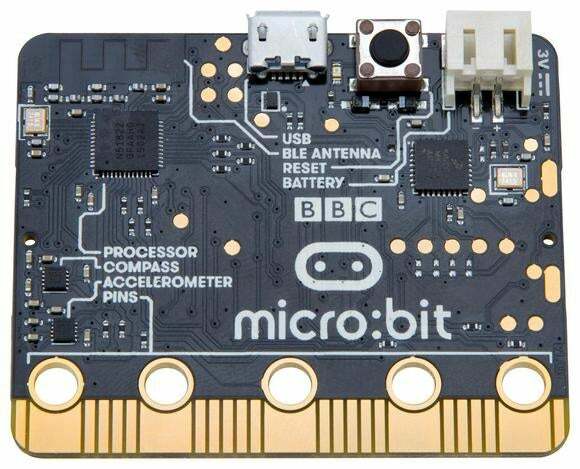 BBC’s micro:bit isn’t quite as powerful as some of those boards, but if you want something basic to create a weather station or a high altitude balloon, the micro:bit is a good place to start.